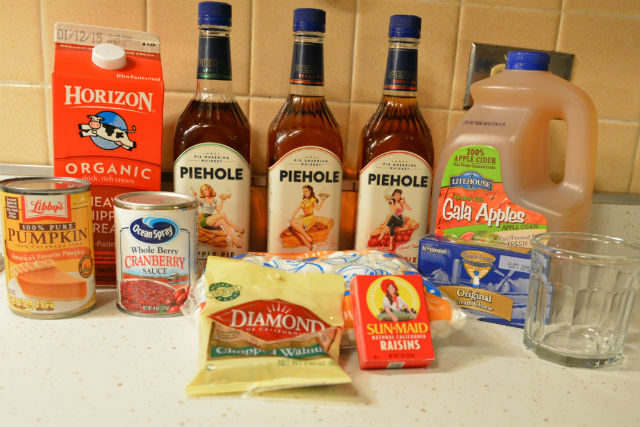 Piehole Whiskey – Drink Your Pie! The folks over at Piehole Whiskey sent us a care package last week to see if we’d be able to craft some shots or cocktails using two of eight unique ingredients. While neither of us drinks a lot, Susie and I definitely appreciate a good drink. Living in Chicago we get ample opportunity to try new and exciting things and Piehole Whiskey definitely fits under this heading. 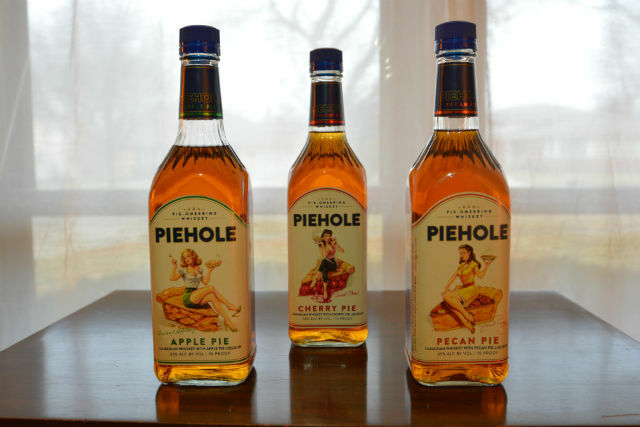 Piehole Whiskey is a little bit different. There are three flavors: Pecan Pie, Apple Pie and Cherry Pie and let me tell you that each tastes exactly like their namesake without any sweetness. I’m not sure how they’ve done it, the Pecan Pie Whiskey smells and tastes like Pecan Pie! The Apple Pie Whiskey tastes like an apple pie your mom would make. Same with the Cherry Pie Whiskey. Our eight ingredients were a little unconventional when it comes to crafting cocktails. Piehole sent us: pumpkin puree, cream cheese, heavy cream, canned cranberries, raisins, walnuts, marshmallows and apple cider! Some of these ingredients were more of a challenge than others to incorporate into a drink. I mean I tried to use the cream cheese….but it just wasn’t happening. Here are our two recipes! Both are fairly different as Susie and I have extremely different tastes. Combine all ingredients in a cocktail shaker along with a handful of ice cubes. Shake and strain into glass with several cubes of ice. This drink is a little trickier. For it to look pretty you have to pour the ingredients into the shot glass over the back of a spoon. Add ingredients in order listed above. If you let the shot sit for a minute or two before drinking, it will separate more. 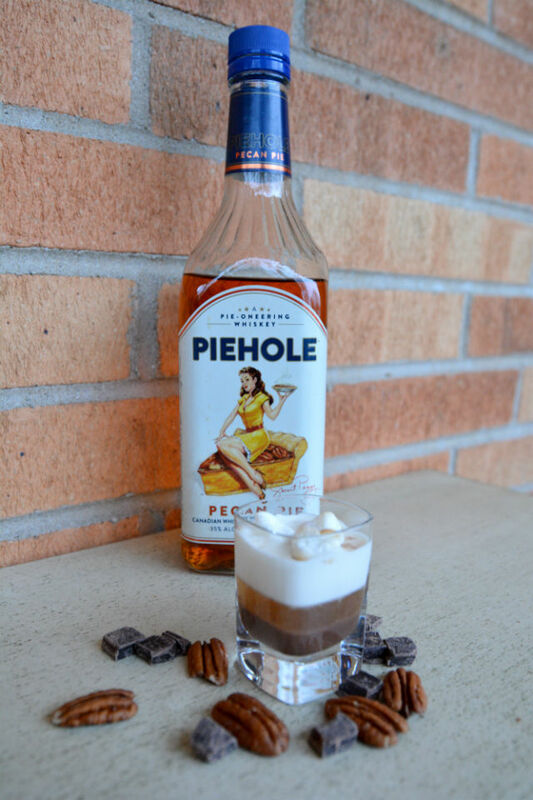 If you’re celebrating this holiday season, definitely add Piehole Whiskey to your bar rotation. Your guests will be thrilled to have “pie” cocktails without actually sitting down for a piece of pie! 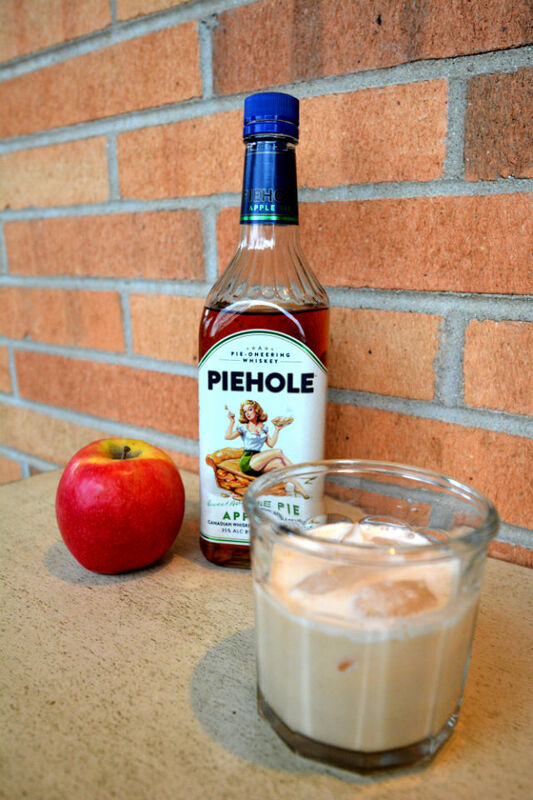 That Dutch Apple Pie drink looks fab! !